Hello everyone, I open a new 3d to keep the things clearer. Finally After a YEAR of work here you are the new version of my sagat!! Adedd a lot of SFV Moves, super, stance, ecc. There are a loooooot of improvements from the last year release, new moves, timings, sprites, ect.. 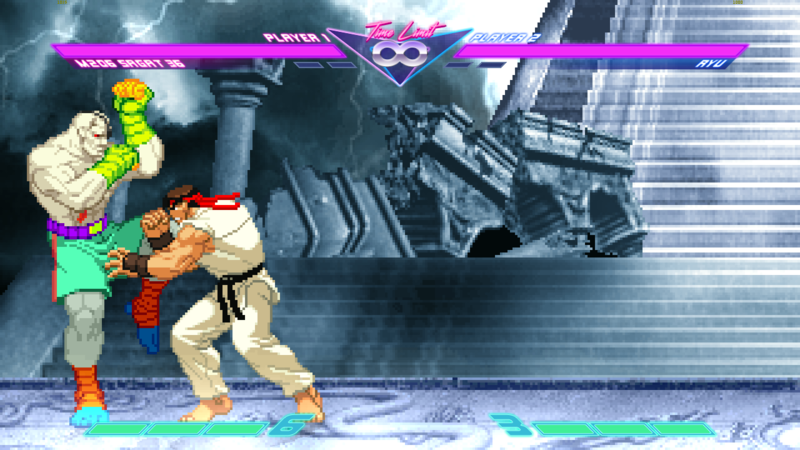 I've added 3 different stances based on the distance, + the crouching sf3style one , and fixed the focus attack problem. The main one is SFV one. I've added a loooot of new moves, and improved the old ones. The main style is again tekken-ish. 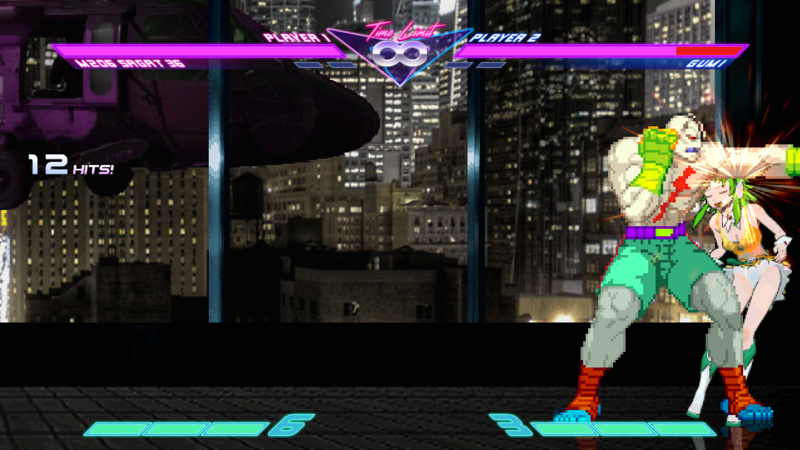 - variuos styles included, but it's more similar to a tekken-style combo system. - since i'm not a code master, you'll find this project coding far from perfect, please be patient.. Adding more different sounds from other games. to make long story short, to perform most of the new moves, you have to act like with a tekken char (mainly bruce irvin), with forward/backward commands included. - @Divinewolf: = For great char which I used as base for my one. - every sagat author out there, i took something from every sagat i found: @dw: , @Odb718: , @sepp: , @chuchoryu:, zamtong: , @o ilusionista:, Infinite/dragoon316:, fido, @memo:, felicity, @trololo:, @varo_hades:, @byakko:, zion(m.t.m) etc. etc. - aldo:, leon:, @Meldo Wiseau:, s jetstream:,@KOF_HERO_77: for their palettes. - trololo, Odb718, chuchoryu,memo for their help, support, and suggestion on forum and on youtube. - @ReduxMercenaryT:, @warecus:, for the tips and suggestion to improve things. - All those who accompanied the project in the forums MFG even with only a single post or reply, all without exception. 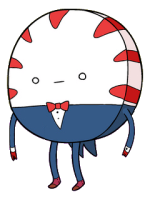 - Surely i'm forgetting someone, let me know if i forgot to credit some of you, i'll upgrade this post. enjoy, and all feedbacks are more than appreciated. I thank for your hard work. Well done! I'm not fond of POTS-styled chars most of time but this caught my attention. I don't know much about POTS stuffs and Sagat himself but the authentic atmosphere is clearly presented in this release. That being said, 2100 Hyper has a glitch which makes wall-bounce effects appear non-stop during the last hit so you might want to check it. Thanks for the feedback, i well know that bug, i spent so many hours to try to solve it but without luck.. can you help me? By doing so, you will allow opponent in statedef 2114 in 1 frame (which then will trigger the effect) and changestate to the new statedef (which will stop triggering the said problem). Taunting makes him use his counter hyper. Skipping the intro in a mirror match makes weird things happen. Level 1 Tiger Cross assumes the enemys 5170 anim is under 30 frames long and breaks if that isn't the case. Walking and going from x to b is a corner infinite. great, many many thanks, now it's perfect!! -never happened to me, can you show me a video? -uhm, don't understand what you mean, can you show me a video? -yes, maybe there are some infinities here and there, i've to try to fix them. 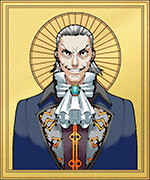 Well, Congratulations on release, Pal! He means screenshot OR video. Just in case you don't use video recording software. I've added the showcase video in first post. in the video i forgot the taunt system and the ex cancel system, i hope to remember it in the next one. Wow...this guy is sick. But that's based on the vid. I don't know if he has infinites' bad hit boxes and such. unfortunately i'm sure you'll find a lot of bugs/things to be improved, i'll try to polish it when i'll get enough feedbacks. 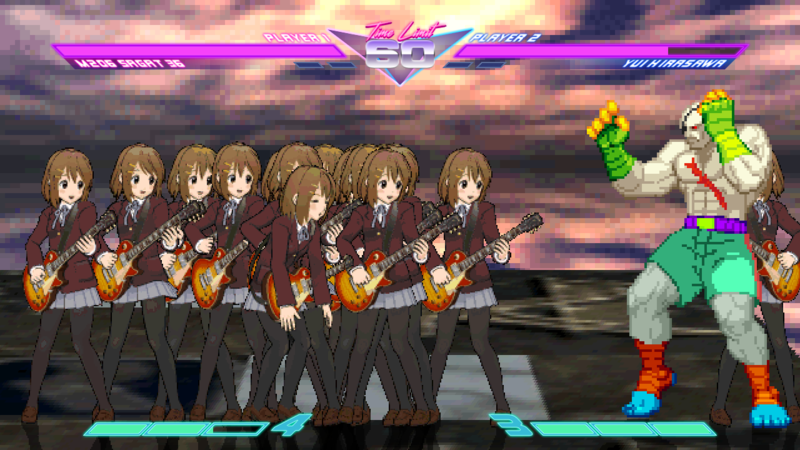 - Tapping DF, then punch (repeat) triggers an easy infinite. - There is a problem with your pal selector (truncated interger). - Palette 1,177 is missing. - Mostly all attacks triggers debug flooding (Change to Invalid Action 0). 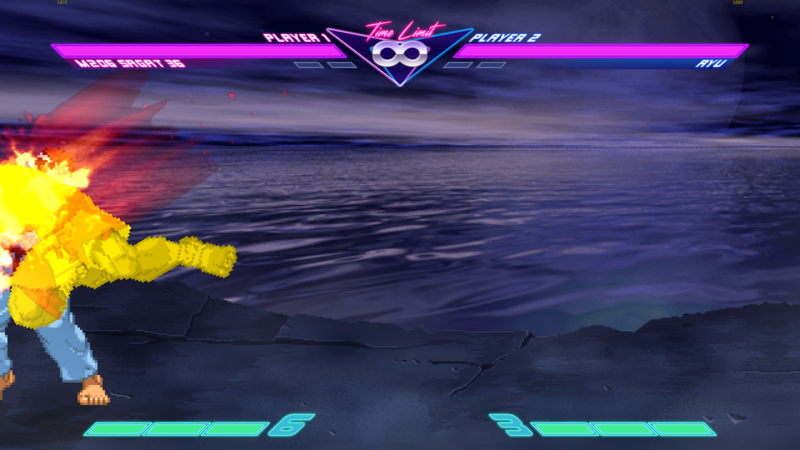 - Sparks and parries also trigger debug flooding (Change to Invalid Action 0). - "Tiger Counter"' command is "s" instead of "QCB2X,s"
- His weak kick (Hold Forward) has a ton of cornerpush velocity. - Regarding "Tiger Counter", P2 tends to break for most characters and create clones when jumping. 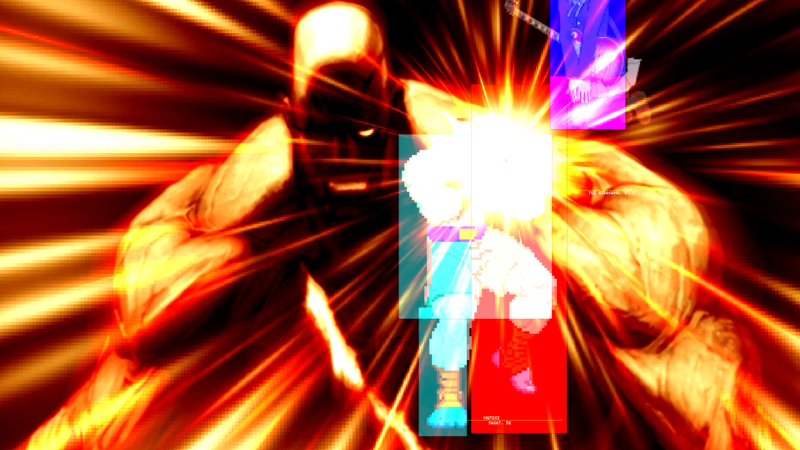 (Could be due to P2's pos, or Sagat's hitbox. Also, likely due to usage of ChangeState instead of SelfState while being hit). 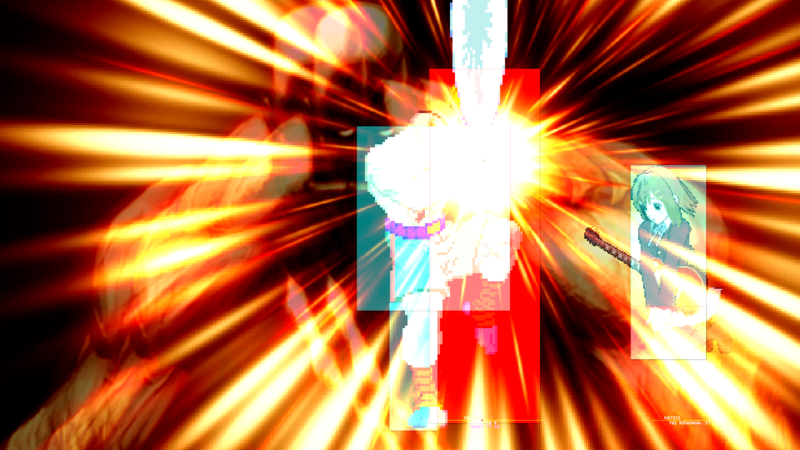 This also happens when a ongoing projectile also hits Sagat while in the middle of the move. - His hyper Tiger Shots for some reason have a temporary startup pause. - "Tiger Counter" is invulnerable to grabs and projectiles? - His head.pos is placed on his chest. - Quick jump has no sound effect. - Some of his EX moves do not trigger the startup sound effect. 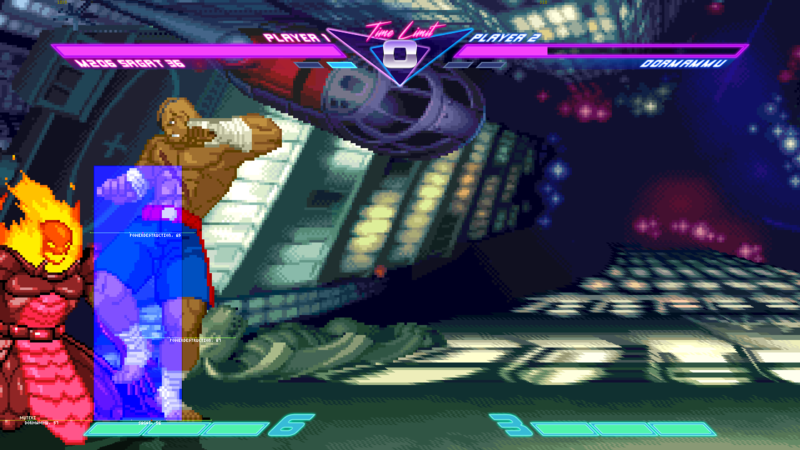 - Sagat's normal intro pose doesn't seem to trigger, however, his special intros do trigger when facing himself or against special characters. 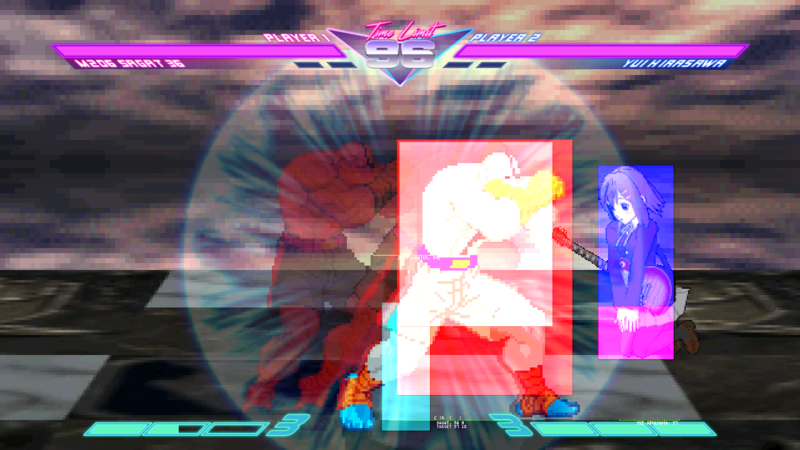 - What's with Sagat having too much invicibility frames? 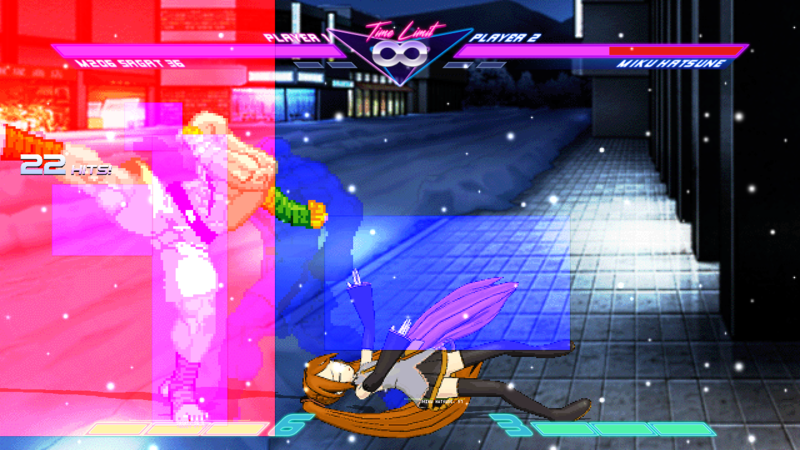 - "Tiger Shot (Air/EX)" does not hit when too close to P2, though his hyper version does. - "Tiger Tooth" seems to be missing a CLSN. 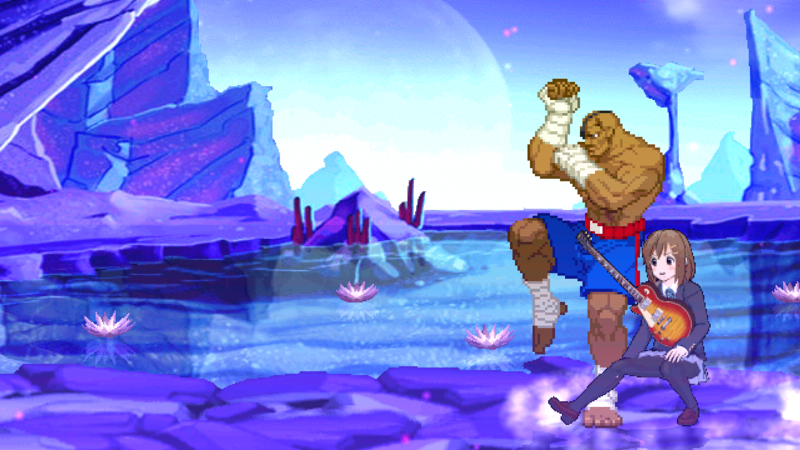 - "Tiger Assault" also tends to miss his final kick, also huge hitbox. - "Tiger Bazooka" uses custom sprites that most characters do not have. (May need a SelfAnimExist for that). - You can easily auto-cancel "Tiger Raid (Air)". - This is why having 6 levels or using mininal power can be problematic. There should be some sort of limit or use more power when auto-canceling Tiger Shots. 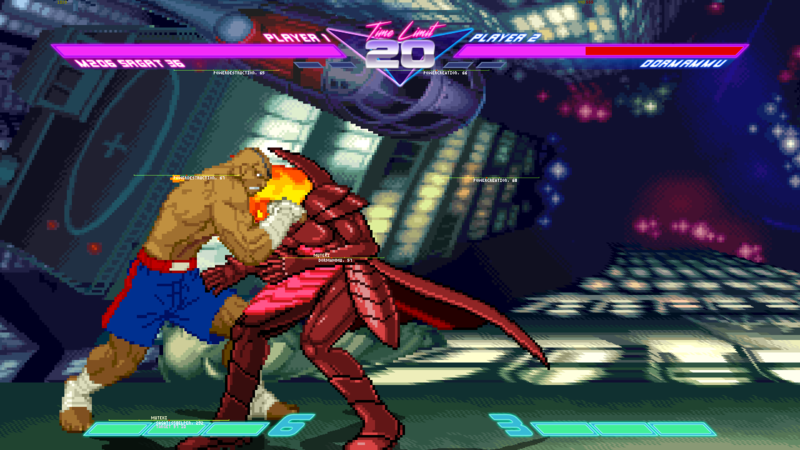 - Last but not least, Sagat crashes MUGEN! I will take something back from your version when I update MB-02. - Tapping DF, then punch (repeat) triggers an easy infinite. Ok, solved. - "Tiger Counter"' command is "s" instead of "QCB2X,s" Ok, solved. 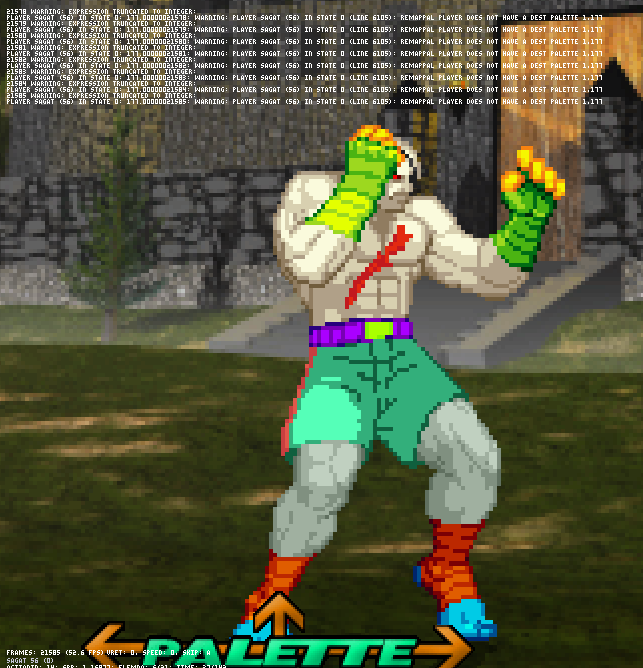 - QCF,s triggers this... Is this an unfinished taunt or what?... yes, it's the cinematic version of SFV sagat vs ryu intro, i'd like to implement it in the future. - You can easily auto-cancel "Tiger Raid (Air)". Ok, solved. About all other bugs/issues, few them are intentional (gameplay), most of them instead aren't still solved cause I'm not skilled enough with coding and i didn't found some beta tester to help me. 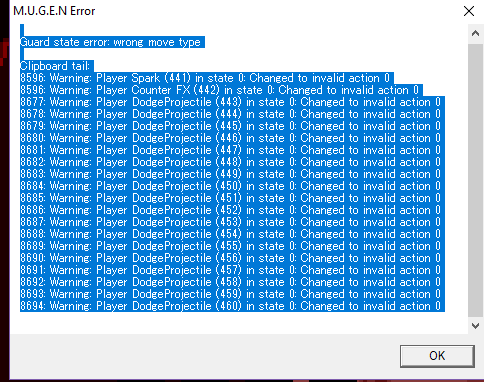 I hope in the future to find time to polish most of that bugs.. thanks again..